Welcome back, me that is. January and February are typically pretty slow months so I disappeared for a while and went to find myself in the jungles of Costa Rica. After a very busy 2017 I needed a break, and what a fantastic break it was! I am now back, born again you could say, and ready to stir things up in the Toronto real estate market for another year. It’s not that I haven’t been working even while I am away (I have 1 active listing, a few sellers getting ready to sell, several buyers on the go and even closed on a property a few weeks ago), but I have neglected my beloved blog and that needs to stop. My mantra for blog posts going forward is “Let’s Get Real”. I want to cut the sugar-coating that happens so often in real estate. So without further adieu, here is the first post in this series. 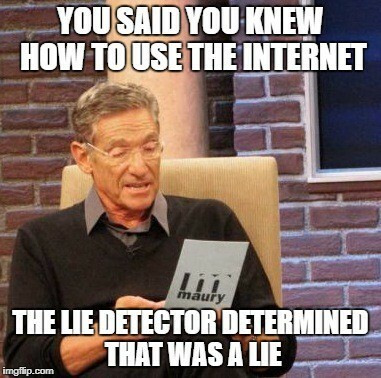 One thing I am often so frustrated with is seeing all the BS other Realtors post on social media, put in their flyers (tree killers – more on that later) or even get busted doing by a camera crew from CBC. Heck, I have had serious thoughts of even leaving the industry to go do something that just doesn’t feel so dirty, but instead I think it is better to talk about the things I see wrong with the industry in hope that positive changes happen. So for now, here are a few lies your Realtor may be trying to tell YOU. Sold Over Asking – Anytime you see a Realtor marketing “SOLD OVER ASKING” just remember, that statement means NOTHING. One tactic when it comes to selling a house is to under list the property (when the asking price is well below market value) to generate multiple offers. Funny enough many of these same Realtors go on to boast about selling a property for “OVER ASKING” which could mean they basically only got market value. Better signs of a good Realtor are ones who talk about setting certain records, but even be wary of this. A $/sqft record is great but if nothing has sold in the building for a year that is almost a given. Just take much of the Realtor marketing speak with a grain of salt. VIP Access – There are plenty of Realtors who post about getting “VIP or Platinum Access” to new construction projects that don’t actually have any shot better than 1000s of other Realtors. Marketing companies for pre-construction launches simply throw these terms around so much to make it sound exclusive to try and get rid of their inventory as quickly as possible, and many people actually buy it. If someone markets that they get VIP Access, ask them specifically what they will be getting and how this will benefit you. Even on massive projects Platinum agents may get access to just a handful of units before everyone else, and if it is a really great project, chances are they are working with plenty of investors who will get those units well before you do. Sure they can probably guarantee you a unit on a crappy project, but there is a reason for that, it’s probably not a building worth buying in. With the pre-construction market being as hot as it is, it pays to build a relationship with top agents so that you can get in before anyone else otherwise you are just going to take a number like everyone else. It still is advantageous to work with a Realtor though as by the time builder launches to the public prices have gone up and the remaining inventory is the units nobody else wanted. 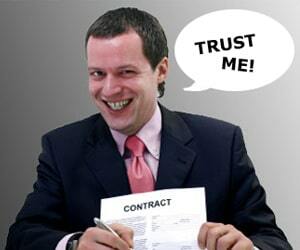 If Your House Doesn’t Sell, I Will Buy It Myself – This is another marketing tactic with a ton of fine print added to it. Typically the way this “scam” works is the fine print says that the Realtor will buy your house for 25% less than an agreed upon market value. If you want to sell your house for 25% less than what it is worth I have people lining up to take it off your hands. I Am So Internet Savvy – The number of agents who pretend to know what is going on when it comes to online marketing is astounding. Just because someone has a Facebook account and LinkedIn profile, doesn’t mean they know what the heck they are doing. These same people will probably go on about how important it is to market your property on Twitter and Pinterest too, but anyone who actually spends any decent time online will know that Facebook and Instagram are pretty much the only places that really matter now. Sure they can pretend to wow you with your use of Snapchat, but unless you think a 12 year old kid is going to buy your house then don’t waste your time with these agents. Ideally find someone who had a marketing background before getting into real estate and can actually show examples of how they use these social networks to help get you more money. The Over Lister – Sure it is tempting to list your house with the agent who thinks it is worth the most, but pricing is the most important thing when it comes to selling a property. Too high you won’t attract the right buyers, too low and buyers will think you are just wasting their time. Find a Realtor who is going to explain why they are pricing it at a certain price and how that strategy will work for your specific property in the current market. The Team Pusher – While I think a lot of fantastic teams exist out there, there are probably just as many who do a terrible job and are more volume driven than actually giving a s%&t about getting their clients the most money. Just because someone says they sell a ton of properties or is a top 10 agent, doesn’t mean you will even get to work with them directly. Unless your property is in the higher end quite often they will just pass you off to one of their subordinates who may or may not have the same level of market knowledge. There are some amazing solo agents out there just as there are some amazing teams out there so it doesn’t always mean that much. Ask the right questions and see who is actually going to be present for the transaction. International Reach – I remember when I was starting out one of the first listings I lost was to a Century 21 agent because the agent went on about how Century 21 has global reach and they will help them get an International buyer. I knew this was BS and sure enough the agent who represented the buyer was from another company and the buyer was likely local, but the seller’s bought the lie. The reality is the most likely person to buy your property is already here in the city when your property hits the market, and if they do need to get over here from another country that agent better take better pictures than using their damn cellphone (not that I am still bitter or anything, but YES that happened). At least use a 3D immersive Matterport tour so they can do a walk-through of the property from another country! Regardless, the people from the big name brokerages often have to rely on their company statistics because that is all they have, but the reality is what really sells properties is presenting it as best possible on MLS, marketing the heck out of it, then using existing relationships with other realtors to get it sold as fast as possible. Even buyers in other countries can use Realtor.ca, and trust me none of them are going on WhateverBigBrokerage.ca. The only Mr Worldwide after all is Pitbull. What Marketing Benefits You And What Benefits The Realtor – In a hot market like Toronto, if some Realtor tries to explain that sending out flyers after the house gets listed, or better yet after it is sold, is going to help you in anyway, they are either clueless or trying to get you to pay for their marketing. Firstly, anyone who still uses mail spam in this day and age is still clinging on to old habits and is a tree murderer. Trees don’t grow to become some agents’ propaganda carrier and you should expect better from someone who you are going to hire. Other examples of things that benefit the agent more than you: open houses (especially when there is food involved… while a kind gesture, they are just trying to pick up clients and not necessarily sell your house), print ads (by the time it hits the papers your property is probably gone) and pretty much any other marketing tactic that should have died 10-20 years ago. I Can Get You The Best Deal – If a listing agent tries to tell you they can get you the best deal then you really have to take a second to think about this. You, random stranger who just came in off the street, is going to get a better reduction in price than any other person who offers and the seller who they have worked with all this time and actually have a relationship is the one that is gonna get screwed. Sure, that may happen if they hate their seller, but chances are they are just telling you what you want to hear so they can get paid twice on the deal. 10) Buyer’s Don’t Pay Commission – Often Realtors will try to use this line to get buyers to sign up with them rather than explore their options, but it is WRONG. Buyers do pay commission. The way commissions work, and I think it is completely silly, is the seller decides how much commission he will offer to whoever brings the buyer for their property. This is listed on MLS listings as the co-op commission and is most commonly 2.5% (but that is changing). So technically the seller decides how much your buyer agent is going to make and in some cases sellers offer more than 2.5% to attract commission motivated Realtors to sell their high priced property. I can’t say that it happens for sure but I can’t say it doesn’t either if you catch my drift. So while the seller decides the percentage, without the buyers money nobody is getting paid so in reality the buyer is the one paying. This is why I think this is dumb. The seller should come to an agreement with the listing agent, and the buyer should come to an agreement with the buyer representative. The reason that many claim it is not done this way is for financing purposes. It allows buyers to wrap up the commission that they would owe for their Realtor into the purchase price so that they can pay this out over time. If you have the down payment and money saved up it can often make much more sense to just pay this amount directly so that you don’t end up paying a bunch of interest on top of that percentage.